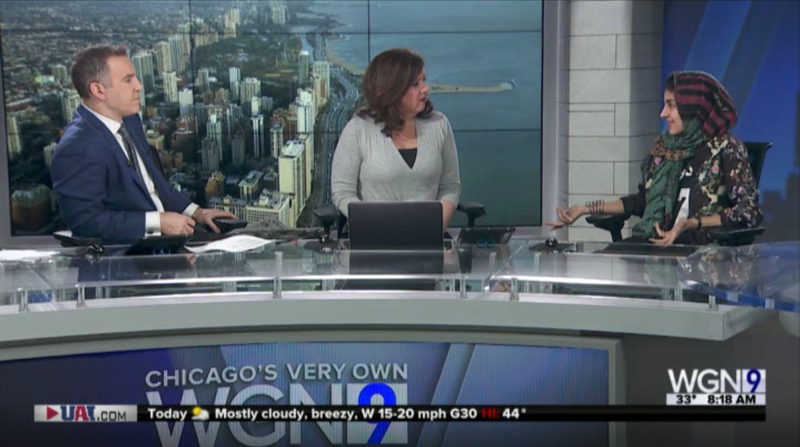 I was on WGN for a live interview last week, and was asked to speak about my work and my book, but when I gave answers the hosts didn't like, their questions (and comments) started to get hostile, literally telling me I "don't sound American." They gave me 5 minutes on-air. I'm going to give myself this short article instead. Here are a few quick thoughts about this interview (which they also did not publish online, or give us access to the clip), as I feel it serves as a good example for a bit of commentary that can be applied to so many conversations happening now, and relevant to the work that is happening here on JooJoo Azad. "Do you think, you would like to see Iran go back to that before women were wearing hijabs?" 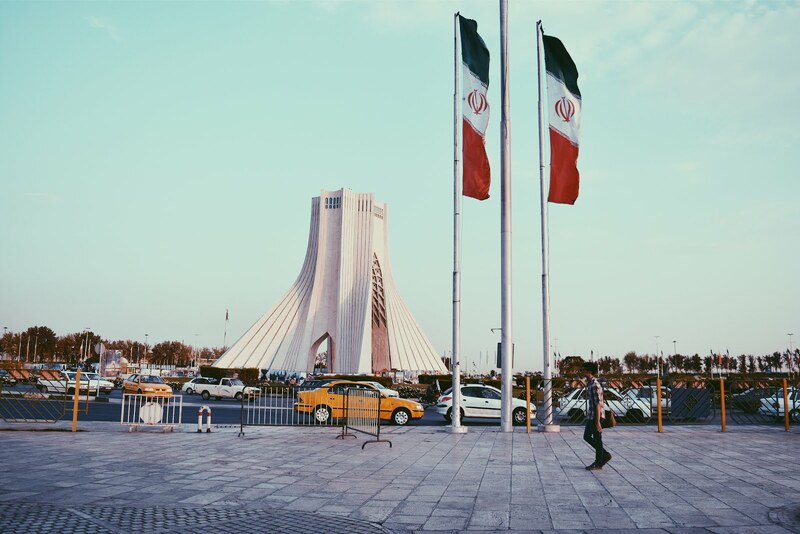 This question is assuming that there was, in fact, a time in recent Iranian history where women were wearing miniskirts and not hijabs as if there were no Muslim people in Iran before the revolution or that everyone is wearing black now and all sense of personal expression has been stripped from them. So wearing a black chador is not "expressing yourself"? Is expression of self through the body truly only limited to dressing in Western fashion? For more elaboration on my response, a dear friend Alex Shams wrote a brilliant piece: "The Weaponization of Nostalgia, How Afghan Miniskirts Became the Latest Salvo in the War on Terror", discussing how this exact dichotomous framework of seeing women's bodies in the middle east (mini skirts as freedom and liberation and hijabs as repression and lack of rights) is established as justification for keeping troops on the ground in Afghanistan. Fashion is powerful, but it's not a gauge of a state's morality or progress based on how it frames women's bodies. "Let's talk about nuclear weapons"
So hindsight is always 20/20, and I honestly should have just stopped him right there and questioned why he thought it was okay to make this ridiculous comment and pose it as a question (I think I was too excited to answer the question than question his premises). Nothing to do with what we are talking about and yet, I'm forced to take up a role as an expert on all things related to Iranian politics -- a position I know other POC/Muslims have found themselves in if they have ever been the token Muslim on a panel or interviewed about their work. The title they gave me on the show was "fashion blogger," yet here I am being asked about nuclear weapons. Would they ever bring on a white chef to their show and then ask him about Brexit or his thoughts on the rise of white supremacy? Clearly, this is not the interview they expected. Identifying me as an Iranian-American, just moments before they wanted me to swiftly and unquestionably denounce Iran and then am immediately called out for not blindly pledging to the USA. Of course, both countries deserve their questioning, but the double standards is mind-blowing. Not to mention that what, then, must an American "sound like"? Are they saying that Americans must not question their government, must see the world in black & white, and chose simplicity over nuanced understandings? In that case, you all are doing it right. But furthermore, what an incredibly loaded statement to say to a visibly Muslim woman on live TV, pushing every stereotype of "other", "foreign", and "incompatible with America" that Muslims are so systematically characterized as--and therefore used as justification to commit violence against, both here and abroad. If a white person said the same things as I did I guarantee you their "American-ness" would not have been questioned. "Know that Muslims are tired of having to "prove" they are American. But also, know that one does not need to be American to deserve respect, humanity, dignity, equality, rights, and freedom from hate and bigotry. An over-emphasis on being American as a prerequisite of deserving respect is harmful for immigrants and refugees. Especially under the new administration that already has plans of "extreme vetting" to prove American-ness. This is only pushing their agenda further." This is also why I work with the medium of fashion/art -- images and image production (such as the American Flag Hijab) are not just abstract, harmless "expressions" but truly are so deeply connected to our understandings of ourselves and others. Update February 13, 2018: Wow, thank you for blowing me away with love and support for this piece/interview, I truly appreciate it! But, I have seen a lot of viscous comments toward the two anchors interviewing me. I do not condone this, as I feel their comments were out of ignorance rather than malicious intent (well, mostly). Of course, this doesn't excuse what happened, but calling people b*tches is sexist and unnecessary, I find. 4/ They're going to get back to me on this idea, but in the meantime if you have any further ideas let me know hehe ;) The apology was important, but it's also important to be able to use this moment as a teaching tool, and prevent it from happening again. Let's raise the bar.